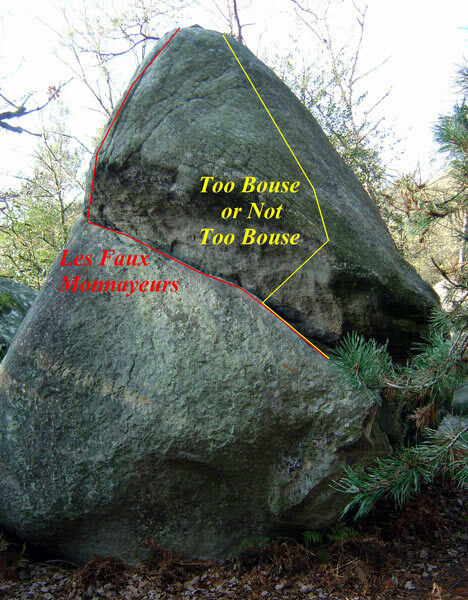 To the left of Too Bouse or not Too Bouse, on the boulder of orange n°42, with the arete left hand; morpho. 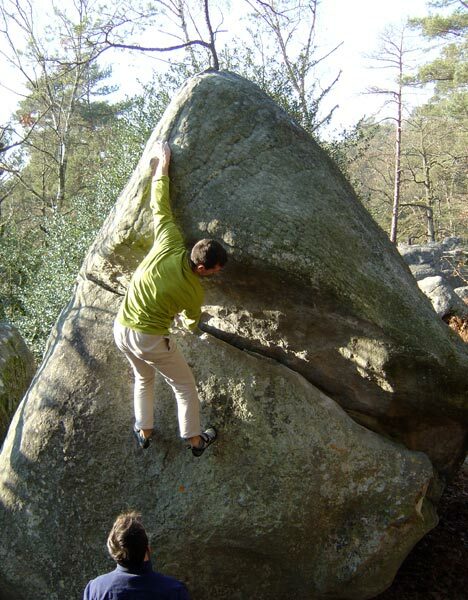 As I see it, the grade 7a+ is given without using the left arete. 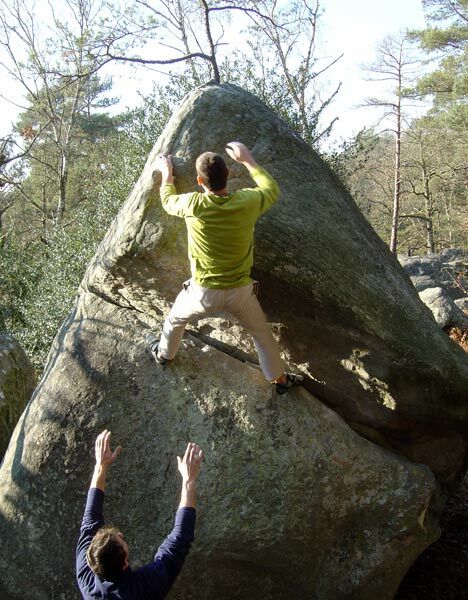 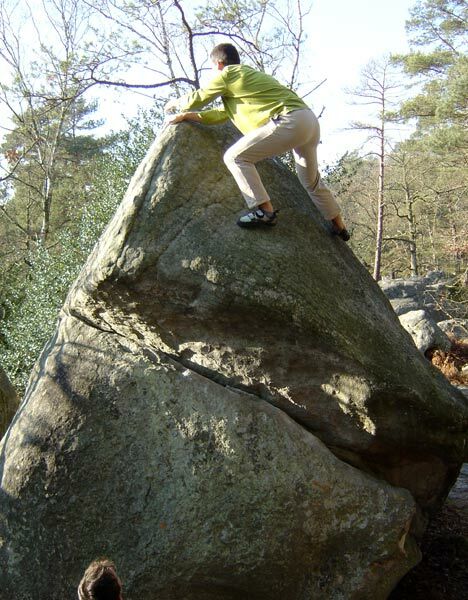 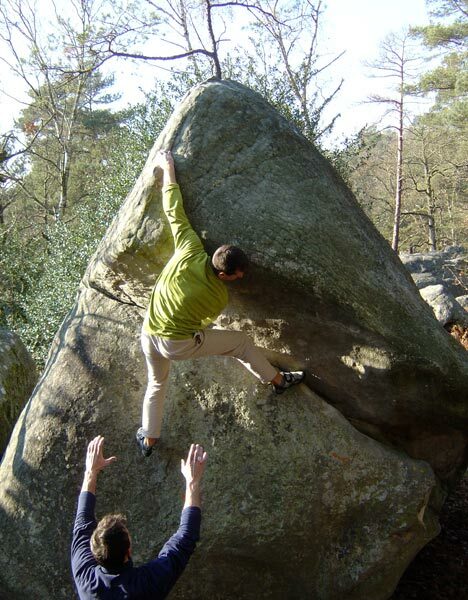 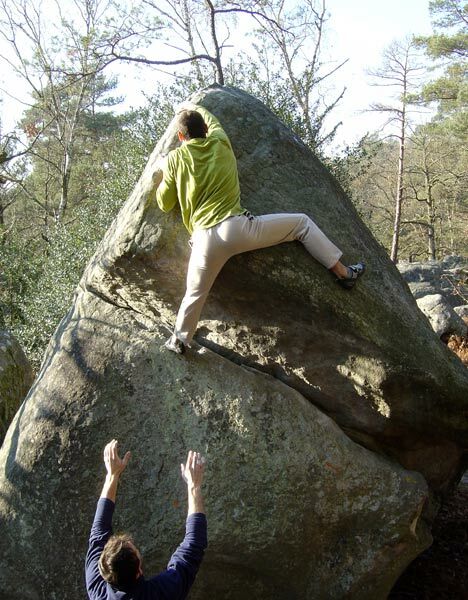 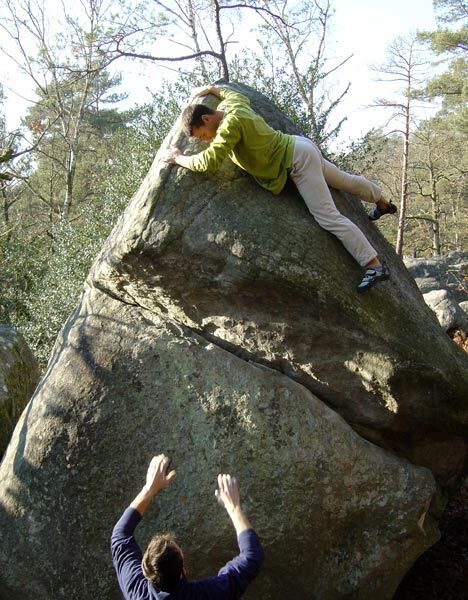 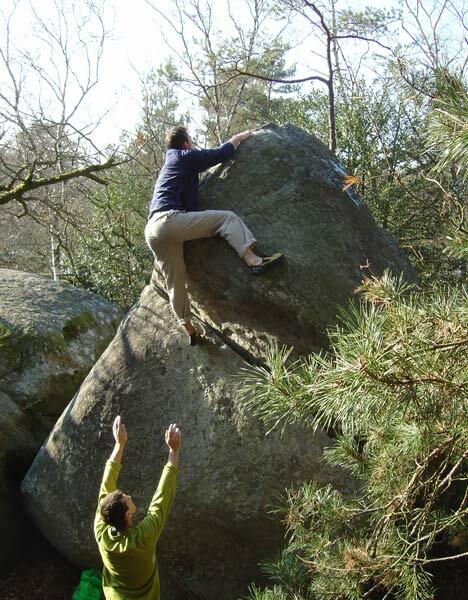 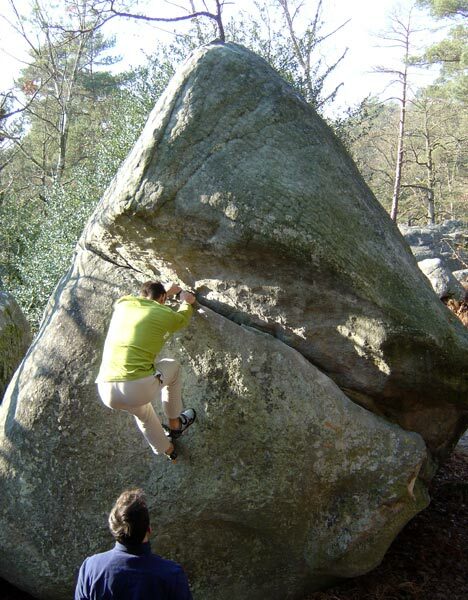 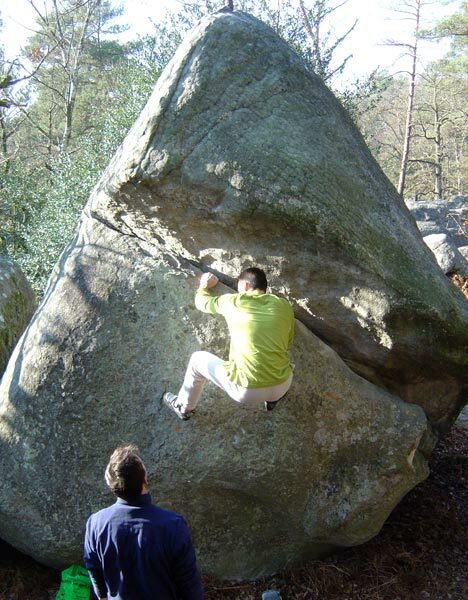 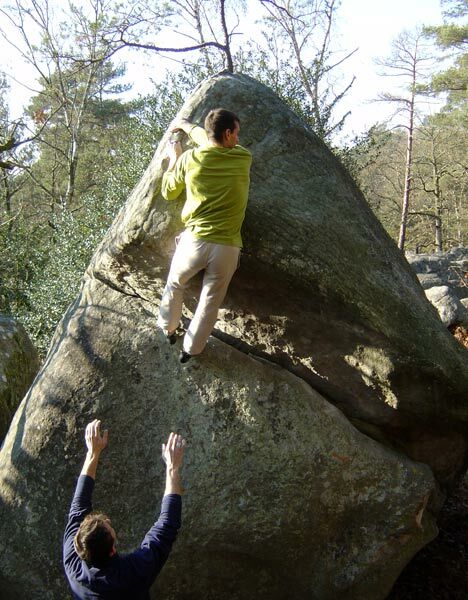 One can trust Loïc for it, as he opened harder boulders than this one. 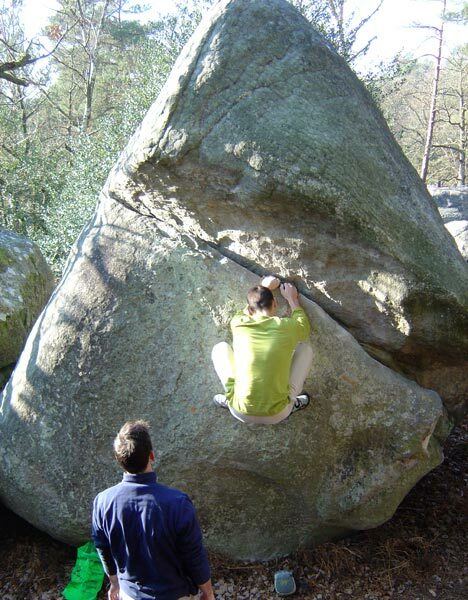 In my opinion this problem is not harder than 6b+. 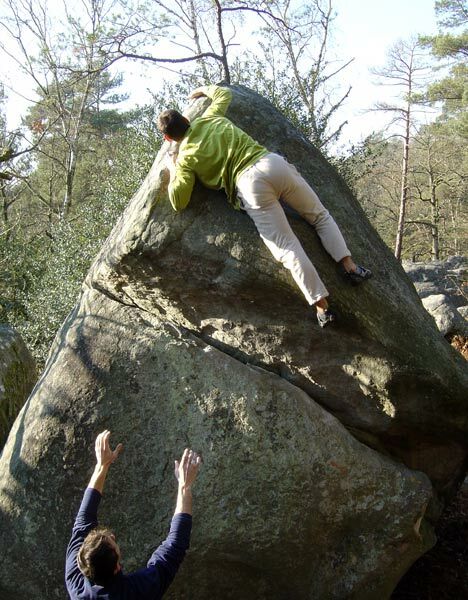 Is there a special definition?